Jersey City Trees Speak Up! Local Artist Anne Percoco and Sustainable JC Launch Stewardship Awareness Campaign on Twitter. JERSEY CITY, NJ — Starting in the summer of 2016, the trees of Jersey City took to Twitter. Environmental artist Anne Percoco is assigning Twitter accounts to Jersey City trees and recruiting residents to tweet, in the first person, from the trees' perspectives. 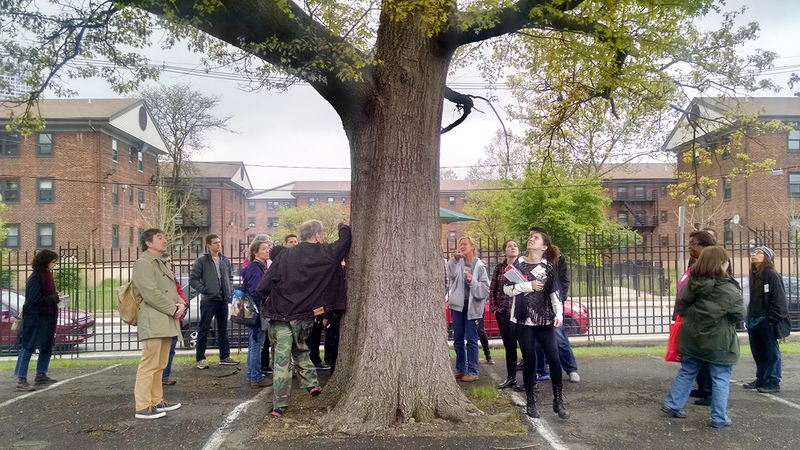 These “tree stories” will start a citywide conversation about expanding and maintaining the City's deficient tree canopy. This project, produced in partnership with Sustainable Jersey City and numerous volunteers, will be a vehicle for environmental activism, education, and community engagement. The project, which will launch on June 20th, will also help create a tree inventory using OpenTreeMap.org, an open source mapping tool to which the City subscribes. The team's goal is for 50 trees to be tweeting by mid-September. Participants will act as creative collaborators and authors, tweeting tree jokes, quotes, and drawings; updates about trees' health and seasonal changes; and educational information about the benefits of green infrastructure. The #TreeSpeech hashtag will track this dialog.